Wellington is a cosmopolitan city with an energetic personality, said to have more bars and restaurants per capita than New York City. Perfectly complementing this fine cuisine is the city’s famous craft beer and legendary coffee. Wellington or perhaps more appropriately 'Wellywood' is a NZ city where movie making comes to life and the city’s world class screen industry has played a lead role in many of Peter Jackson’s Oscar winning movies including The Hobbit. Visit the eastern suburb of Miramar, home to Roxy Cinema, Stone Street Studios and the award winning Weta Workshop or take a Lord of the Rings location tour. Ride the historic Wellington Cable Car, visit Te Papa; the national museum of New Zealand or travel back in time at ZEALANDIA, where the aim is to return a 225 hectare bush sanctuary for native NZ wildlife to its pre-human state. Night tours for kiwi spotting also available. Watch the opera or ballet, take in a play, see a comedy at Bats, view a movie at the beautifully restored Embassy (venue of The Lord of the Rings, King Kong and The Hobbit world premieres). 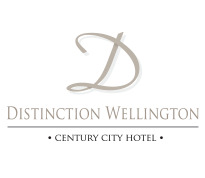 These options are all neighbours to your Wellington hotel accommodation - Distinction Wellington Hotel. 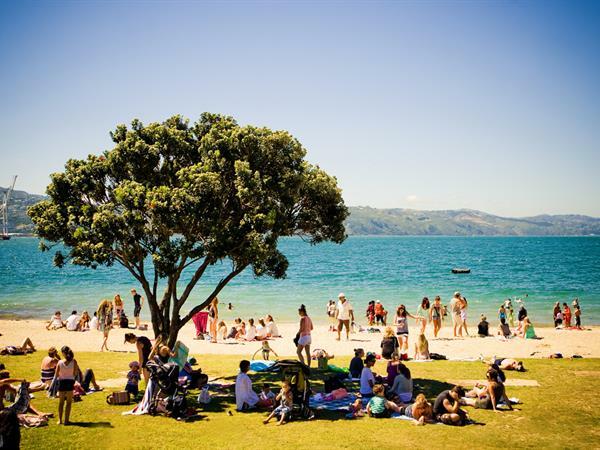 Enjoy the late afternoon sun on the golden sands of Oriental Bay, stroll through the gorgeous Botanic Gardens or up Mount Victoria. Alternatively visit Wellington Zoo which is home to over 500 animals. Experience a slice of Wellington's history on New Zealand's only runing funicular railway. Get a local’s perspective of the city and Wellington region by taking one of the many sightseeing tours available.